Completed under MDSA’s predecessor frm, the 146,000 sq. 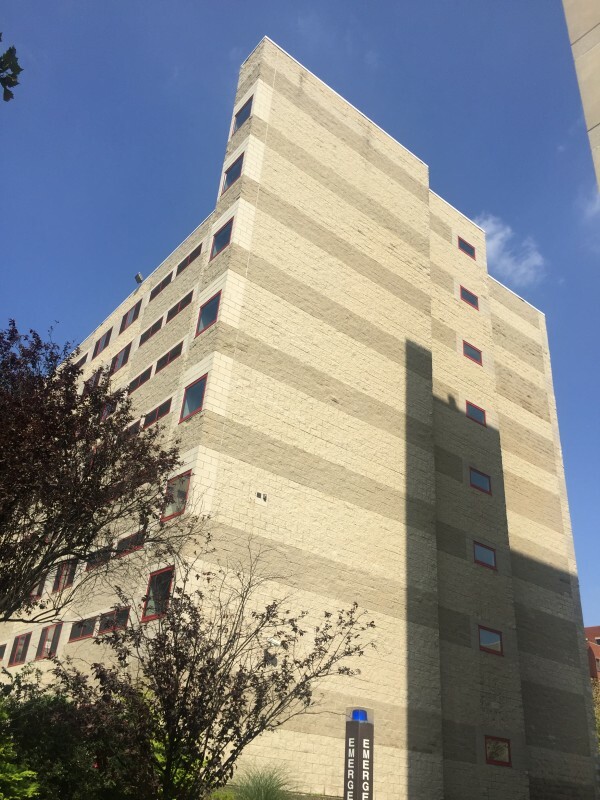 ft., 320-bed, eight-story graduate residence hall was the winner of an invited “design-build” competition based on construction cost held by Rutgers University and the winner of awards for the design of the facade. 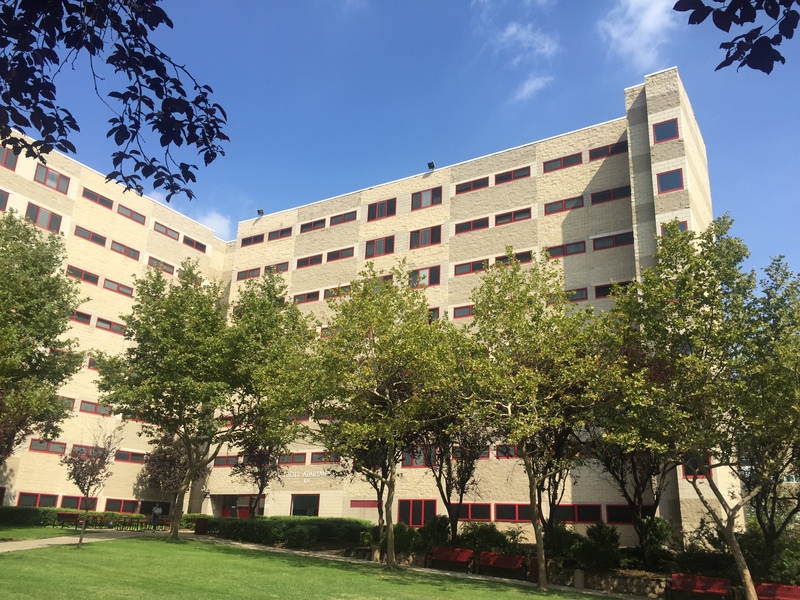 A pattern of four alternating sections of light and medium grey rough split-face concrete block and smooth ground-face block, accented with Rutgers red window frames, provides an active facade within stringent aesthetics connecting the existing campus and the neighboring community. Each living unit is designed as a separate apartment, either two bedroom apartments or four bedroom apartments, each includes a living/dining room, kitchen, multiple use bath facility and a sizable storage closet. Bedrooms are separated from the living area. Windowed communal spaces were placed near elevator banks, stairways and laundry rooms. As the first dormitory in this urban area, security was addressed carefully. 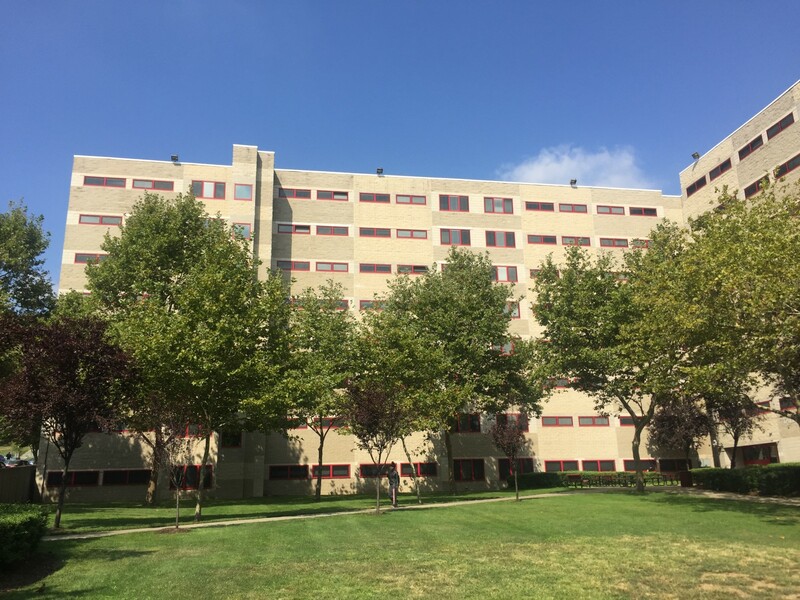 Intercoms were placed in all kitchens, enabling students to communicate with 24-hour ground-level security, and eight closed-circuit cameras provide a view of the grounds.